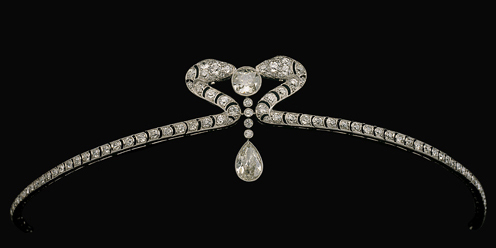 Mellerio dits Meller is the oldest family-owned jewelry company in Europe, spanning 14 generations. In 1515, the first Mr. Mellerio left Italy for Paris because he heard there was opportunity there. His family started the company in 1613. As Jean-Baptiste Mellerio was vending his wares in front of the Château de Versailles, he attracted the attention of Marie-Antoinette. She became a regular patron in 1777. 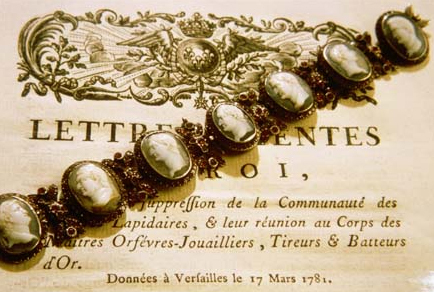 He created this cameo bracelet for her, which expressed Versailles’ court intrigue, as some cameos face each other to converse, and some don’t. 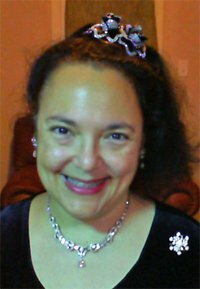 Just before Marie-Antoinette went to the guillotine, she gave the bracelet to a confidante. It survived in tact, and today is kept in a safe. 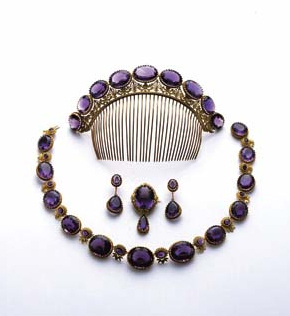 Empress Josephine also had jewelry made for her by Jean-Baptiste, such as this amethyst parure. In 1815, the company set up shop on the Rue de la Paix, where it remains to this day. 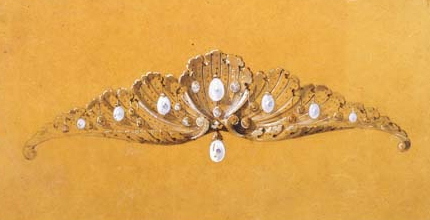 Jean-Francois Mellerio made this diamond-and-pearl tiara, which Queen Isabel II of Spain bought for her daughter, the Infanta Isabel, Princess of Asturias, for her wedding in 1867. 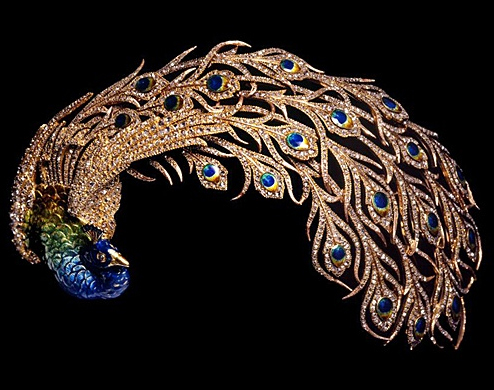 During the Paris Exposition Universelle 1900, Mellerio dits Meller presented 12 pieces based on the peacock. 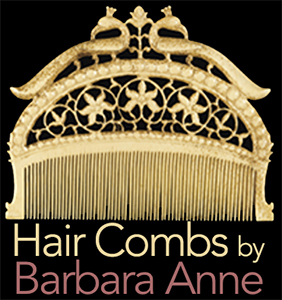 Here is the “Paon Royal” head dress, which was made in gold and platinum with cloisonné and diamonds. Serpents have always played a powerful role in world religions. They guarded Buddah. In Genesis, a serpent represented the Tree of Knowledge of Good and Evil. Two serpents facing each other reflected both themes in Art Nouveau jewelry. 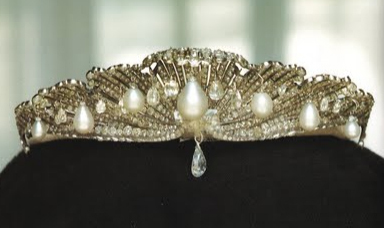 Mellerio dits Meller made this exquisite diamond and platinum diadem in 1921. Do the two snakes represent good and evil? Or, they are guarding the diamond pendant. I think the snakes play both roles, which makes this an art deco masterpiece.